What is the Light Keeper ? A custom security screw and tool set that prevents easy removal of your taillights. Security screws made from solid stainless steel. Comes with complete instructions and installation/removal tool. Most taillights are easily removed in less than 20 seconds, using only a screwdriver! 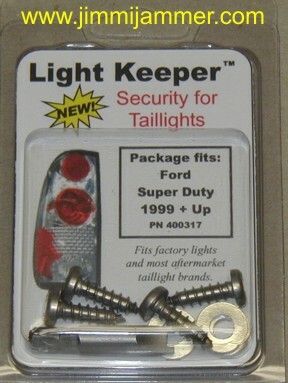 The Light Keeper security screws replace the factory screws and prevent the easy removal of your expensive lights. special tool included in the kit.